Florida is the greyhound capital of the U.S., thanks to a ridiculous law that forces casino owners to operate dog racetracks, whether they want to or not. It's about time to change this, lawmakers have finally realized. 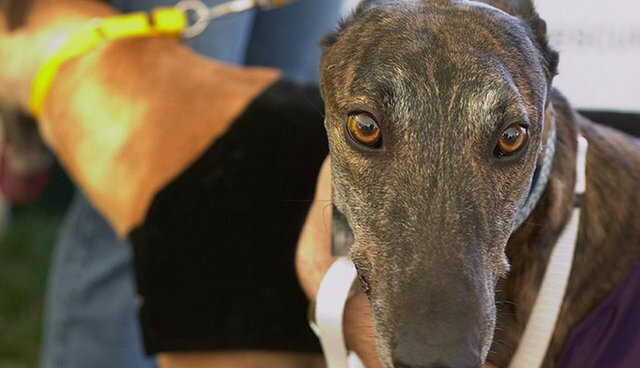 Because of an outdated provision originally meant to protect greyhound breeders and trainers, gambling facilities are required to hold nearly as many greyhound races as they did 20 years ago. As it turns out, many casinos don't want to offer that much greyhound racing - not just because it's cruel, but because they lose money on every race. Now, lawmakers are trying to weaken the casinos' grip on the greyhound racing industry. A trio of legislators are pushing for a bill that would "decouple" the greyhound racing and gambling industries in Florida, the Florida Times-Union reports. Rep. Matt Gaetz (R-Shalimar) and Rep. Jared Moskowitz (D-Coral Springs), said the measure would allow individual facilities to decide whether to continue racing dogs or not. Animal advocates have long supported such legislation, saying that it would be a first step toward banning greyhound racing in Florida, a state where racing claims the life of one dog every three days. The industry's abysmal animal welfare record was recently revealed in a nationwide study: hundreds of horrific deaths and thousands of injuries are par for the course at greyhound tracks. Casino owners stand to gain too - in 2012, Florida tracks lost a total of $35 million on greyhound racing. Often called a "dying industry," greyhound racing is on the outs, with bans in place in 39 states and pending in others. Florida, the industry's last remaining stronghold, will hopefully follow suit.